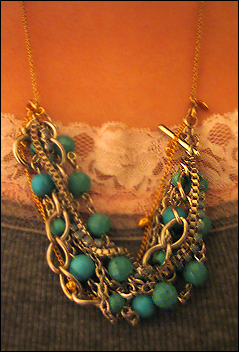 Combine the accessories you already have to make trendy, one-of-a-kind pieces on the cheap, without any special tools. 1. 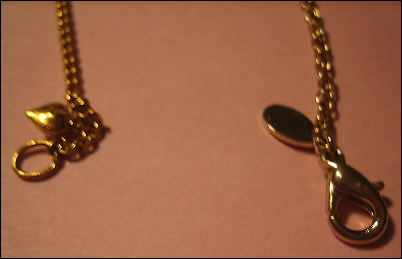 Take the plain necklace chain and unclasp both ends. 2. 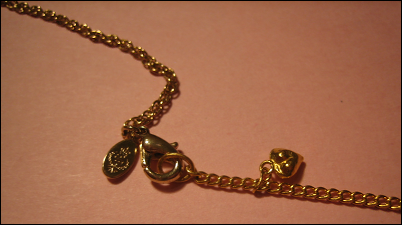 Unclasp the plain chain bracelet and hook the 'claw' or 'hook' end to the 'loop' end of the necklace. 3. 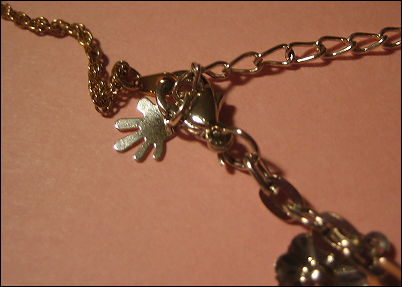 Hook the claw end of the necklace to the loop end of the bracelet. 4. 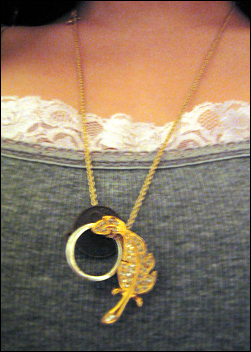 You now have a really long chain necklace, which is great for layering as is. 5. 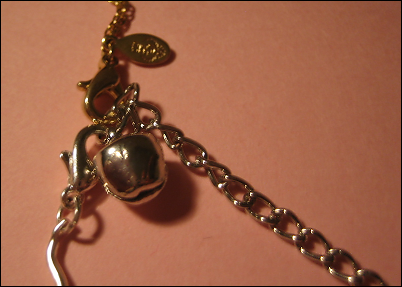 Open up one of the clasps again. 6. 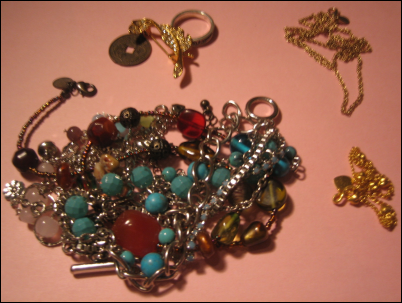 Slip some funky rings, broaches, buttons or other doodads on the chain. 7. 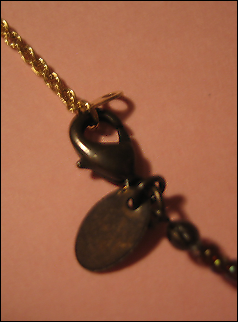 Close the clasp and enjoy. Big, bold statement necklaces are huge right now, but they can be pricey. Take a chunky bracelet or choker and make your own! 1. 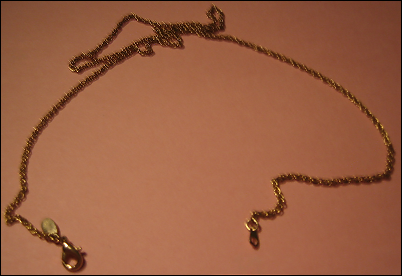 Take a choker and the plain chain and open the clasps of both of them. 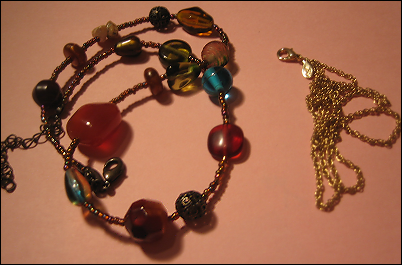 Here's the necklace made with that choker, and another made with a chunky bracelet. 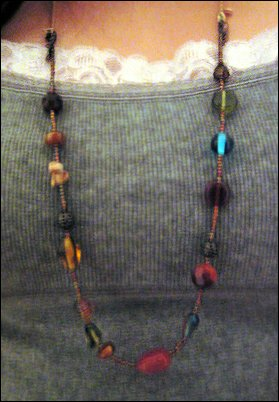 This is for all those lazy folks out there (me included) who don't feel like trying to match different necklaces for a layered look. 1. 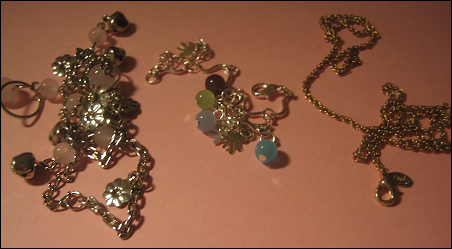 Take two bracelets and the plain chain and unclasp all three of them. 2. 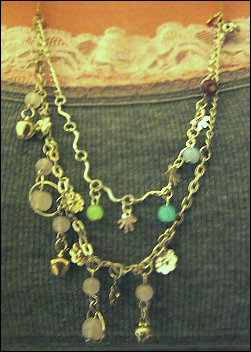 Hook the loop ends of both bracelets onto the hook end of the chain. You should have two loops attached to one hook. 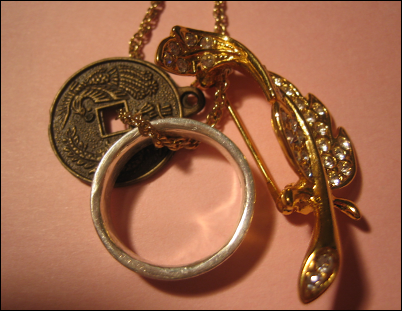 See?...Three items all chained together! 3. 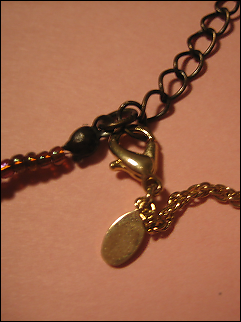 Now hook the hook ends of both bracelets onto the loop end of the necklace. 4. Arrange the chains so they hang the way you want them to, and you're done!